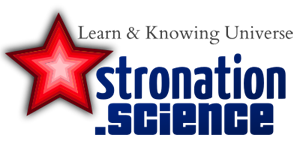 Astronomy Science ~ Does Mars had or currently have a life? It has long been a subject of debate. An international team of scientists, using data from a meteorite from Mars, reports that life on Mars is more likely than previously thought. The team, which included members of the Ecole Polytechnique Federale de Lausanne (EPFL), published their findings in the latest edition Meteorics and Planetary Sciences. "So far, no other theory is more attractive we find," said Philippe Gillet, director of EPFL Earth and Planetary Sciences Laboratory. The team conducted a detailed analysis of trace organic carbon found in Mars meteorites. Their results showed that these sources have a biological origin, which is very possible. The researchers noted that carbon could be stored in a rock crevice by absorbing liquid rich in organic matter while the rock was still on Mars. Tissint meteorite from Mars leveled after the asteroid hit the planet's surface. Several witnesses saw Tissint fall into the Moroccan desert on July 18, 2011. The scientists found a gap in this meteorite filled with material that contains carbon, which previous research has told that this carbon contamination from Earth. Nonetheless, scientists are still debating the carbon source. Teams do chemical analysis, microscopic and isotopes of carbon that suggest several possible explanations for its origin. Characteristics of the object is explicitly said that carbon was not from Earth. They also revealed that the carbon content is deposited in the gap Tissint before leaving Mars. Previous research indicates that the carbon footprint that comes through the high-temperature crystallization of magma. 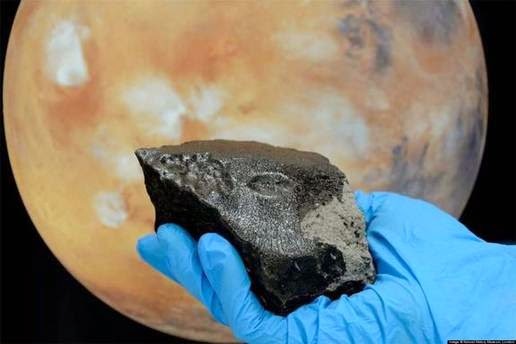 These new findings challenge that view, they pointed out that a more likely explanation is a liquid containing organic compounds that permeate the "mother" Tissint meteorite that at low temperatures, near the surface of Mars.